The hall was erected in memory of those from the district who served in World War One. Public conscriptions in 1918-19 raised £251 for the purpose of establishing a soldiers' memorial at Rochester. 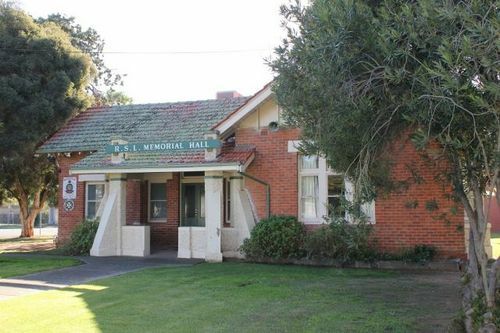 A decision to build a Memorial Hall was made in 1920. The Arts and Crafts style R.S.L. building was erected in 1922 at a cost of £1500 and was officially opened on 26 April 1922 by Brigadier-General Jess.